Looking for a New BMW 5 Series in your area? CarGurus has 371 nationwide BMW 5 Series dealers with 36,764 new car listings. The 5 Series follows its 2017 redesign by tossing BMW’s updated hybrid drivetrain into the mix with a new, affordable plug-in trim for 2018, the 530e. It’s been a while since BMW was the undisputed leader in midsize luxury sport sedans, and it’s tried to regain that title by concentrating on luxury more than sport lately. With the addition of the 530e to the 5 Series lineup, you can add frugality to the mix, because this new plug-in hybrid is the lowest-priced 5 Series you can get. Following the lead of most luxury hybrids, the 530e differs only slightly from its gasoline-powered brethren, and since it’s just as quick as those more conventional offerings, you’ll need sharp eyes to spot the differences. Most notable are the eDrive badging on the C pillars and the conspicuous charging port on the driver’s front fender. Beyond that, you’ll have to check out the inside. 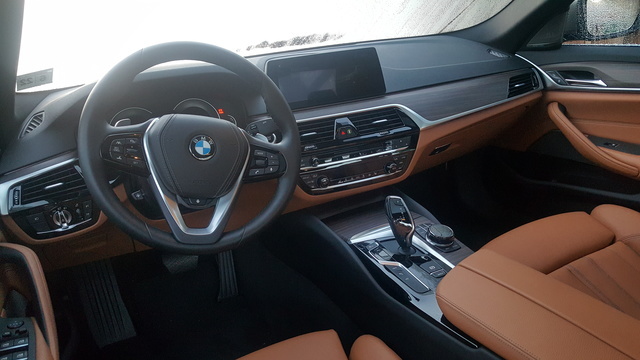 Here, ambient lighting in BMW blue lets you know this isn’t your regular 5 Series, and the gauge cluster, while looking traditionally BMW, is a flush LED affair with real metal rings surrounding each gauge. Look even closer and you’ll notice there’s no protective “screen” over this gauge pod, meaning you’ll be wiping the dust directly off the LED screens. Beyond electronics, you’ll be dealing with a slight reduction in trunk capacity, from 19 cubic feet to 15, though you still get a nice, flat floor with the 400-pound batteries sitting right over the rear axle, meaning weight distribution shifts here to 48% over the front axle and 52% over the rear. Toward the bumper, a modular panel drops down for even more space. Finally, fuel-tank capacity is reduced from 18 to 12 gallons, putting total range at about 400 miles. For all this, you’re looking at a starting MSRP of $51,400, and with a standard Federal Tax Credit of $4700, plus potential additional discounts depending on your home state, this is a very affordable 5 Series indeed. Of course, it doesn’t have to stay that way. For my week with the 530e, I was given an example absolutely packed with options—more than $14,000 of options, in fact—an entire Kia Rio’s worth! This included a $1050 lighting package for full LEDs and auto high beams; a $1000 adaptive suspension; $650 M Sport brakes; $600 soft-close doors; nearly $5000 in autonomous safety and parking features, including a head-up display; $190 gesture control; $300 Apple CarPlay compatibility; an $875 Harman Kardon sound system; $650 ceramic controls; and the $2700 Premium Package for a power tailgate, keyless entry, Sirius, wireless charging, Wi-Fi hotspot, and enhanced connectivity through additional USB and Bluetooth. All told, this pushed the price, with a $995 destination charge, to a staggering $66,460. Normally, this is the part of a hybrid review where I'd try to justify its higher price than the gasoline version of a car. You get more power and better fuel economy for a hefty premium at the time of purchase, and many who do the calculations find they’ll never save enough in gas to offset that initial investment premium. But with the 530e, you need not make such justifications—it’s cheaper than the 530i, it gets much better fuel economy, and it’s just as fast as well. Despite weighing almost 500 pounds more than the 530i, the 530e will do the sprint to 60 in the same 6 seconds thanks to an extra 52 lb-ft of torque for a total of 310 lb-ft, 184 of which are available immediately thanks to the electric motor taking the place of the torque converter in the ZF 8-speed transmission. Even better, because the 530e utilizes a traditional automatic, it still shifts like a regular car—something most other hybrids can’t offer. This is the reason driving a hybrid can feel foreign beyond the extra oomph of the electric torque, the main feature setting the 530e apart from the pack, and other than the price, the primary reason people are going to love this car. As for fuel economy, the 530e's combined gasoline-electric rating—the performance you can expect if you keep those batteries topped off—sits at an impressive 72 MPGe, and when you’re out of electrons, the twin-scroll turbo 2.0-liter will still return a combined rating of 29 mpg, which is 2 better than the 530i. 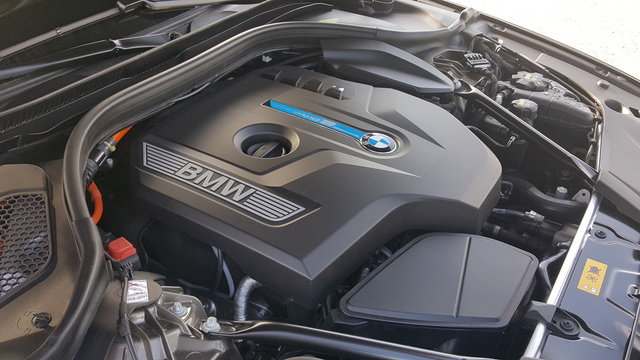 Although this is the same engine in the 530i, it’s here relaxed to produce only 180 hp. Capable of a claimed 16 miles of all-electric propulsion at speeds up to 90 mph, the 530e’s 9.2kWh lithium-ion battery can be the sole propellant for the vehicle, though if you dictate that method of propulsion, you’ll be limited to the electric motor’s 111 hp, so good luck getting up to 90 mph! 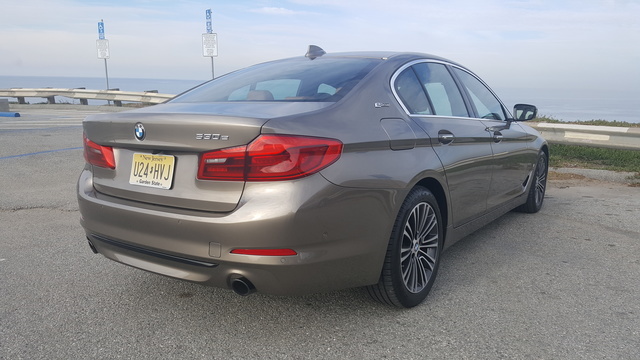 Now people have criticized the 5 Series for so willingly relinquishing its title as the midsize sport sedan, and it truly has lost a few steps in its 5 decades of production. While this newest generation has made an attempt to make up some lost ground, the 530e offers some of that spirit again in the form of the aforementioned rear-biased weight distribution and the grunt of that electric torque. It’s nowhere near enough to regain its title, but I’ll say that only more experienced drivers will even be able to tell the difference between the 530e and the 530i with regard to handling, and I’ll wager some will even prefer the 530e. It’s planted and solid and even nimble considering its weight and 117-inch wheelbase. Try it, you’ll like it. If you’re looking for a driver-focused plug-in hybrid sport sedan, I’m hard pressed to offer another option that checks all the boxes for that particular function as thoroughly as the 530e. 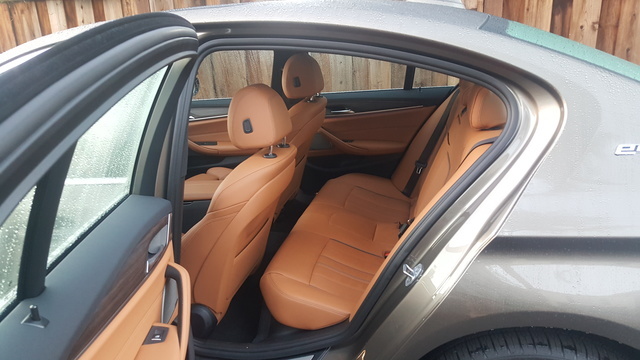 With 2017’s redesign interior space was maximized, including an extra 1.2 inches of rear-seat legroom, meaning even taller gents such as myself have no problem occupying any seat. 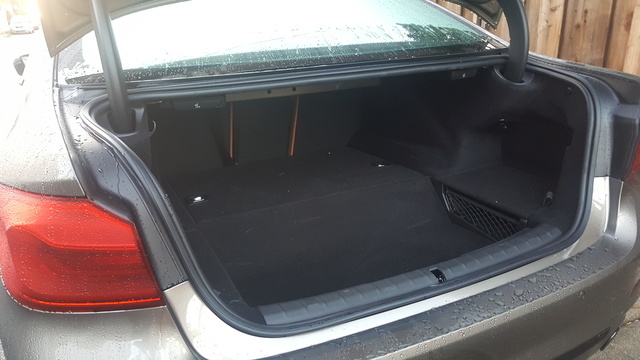 This isn’t hampered at all by the hybrid drivetrain, as the 530e instead decides to sacrifice 4 cubic feet of trunk space to accomplish the task. If passengers don’t notice the charge port or the eDrive badging, they’ll never know the difference, other than the immediate jolt of torque upon takeoff. Charging will be your main adjustment with the 530e, and it shouldn’t be much of an adjustment at that. BMW claims a 240-volt outlet will charge a completely depleted battery in just 3 hours, and a standard 110-volt like you’d find anywhere in your house will do the job in 5, although my charge times were actually less. This means you can plug in your 530e anywhere you can find an outlet, and it’ll be fully charged again when you get up in the morning or when you get out of work. And with a wireless charging pad option coming later this year, eventually you won’t even have to plug it in. Speaking of charging, if you scour through the iDrive menus, you’ll find additional eDrive options that govern your charging/driving profile, allowing you to set a schedule for when and how your 530e charges and how battery power is utilized during driving. They seem like some pretty nit-picky options, but they can really augment how your 530e drives and lives. These options alone can completely change the personality of your car, so it’s worth spending time to get not just familiar but intimate with them. Braking is the singular place where hybrids usually fall apart for me. My experience has generally involved wooden and grabby pedals coupled with long distances exacerbated by eco tires. While the latter isn’t exactly a revelation here at 124 feet for a stop from 60 mph, that’s not exceptionally bad for a midsize hybrid sedan, and even better there’s none of the typical hybrid brake feel that usually ruins the experience for me. What would be a perfect evolution would be the one-pedal braking from one of BMW’s fully electric "i" offerings. Allowing that braking profile to be chosen for city driving would really transform the character of the 530e and offer even greater distance and usability from the increased energy recovery—not to mention how slick 1-pedal driving can be. Other than that, it’s your typical 5 Series experience—not the fastest, not the cheapest, not even the most luxurious, but perhaps the best all-around contender? With a plug-in hybrid, technology is a given. That said, while consumers have gotten used to the pairing of “hybrid” and “luxury,” the 530e doesn’t come with all the advanced options you usually get with a part-electric drivetrain. Thankfully, it also doesn’t come with the usual price tag, but if you want those options back, you’re going to have to pay. This is a gamble BMW has long made, offering a lower price on a stripped version of the car in the spirit of giving drivers the option of buying only a car—none of the frills. 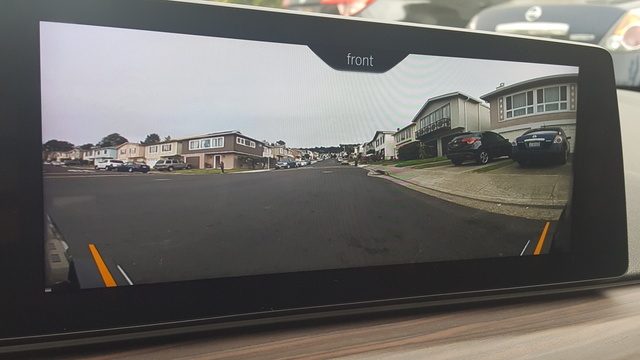 Unfortunately, the last 10 years have seen formerly high-end features now being included on some entry-level cars, so the advantage this offered has lessened as a result. When you can buy a car in the mid-20s and get things like blind-spot monitoring, adaptive cruise, lane-keeping assist and the like, buying a car for 50 grand and having to pay extra for them starts to sting a bit. But with the 530e, the tax credits and incentives mean you can add a lot of those features and still land below the price of the standard 530i. In fact, you should be able to add both Driver Assistance packages, the Lighting Package, adaptive suspension, and M Sport brakes and still be around the MSRP for the 530i. This is just another reason why I think BMW is going to sell out of the 530e very early. The additional eDrive pages in the iDrive interface add more than most will realize at first to the functionality and joy of the 530e, and the full LED display is the perfect complement to the car’s character. Paying an extra $300 for Apple CarPlay functionality is a bit of an insult, as is $875 for a Harman Kardon stereo—these should simply be included at this price point. I’m buying a luxury car, shouldn’t it come with a luxury stereo? And speaking of options you should probably avoid, don’t bother paying $190 for the optional Gesture Control. This allows you to, ostensibly, switch pages, control volumes, and change channels in the iDrive interface with different hand motions—swirling your hand clockwise to turn up the volume, for instance. In reality, this is unreliable at best, so you’re going to end up paying an extra $200 to be frustrated. Likewise, the $600 soft-close automatic doors never sounded right to me. It was more like they were hitting something wrong instead of closing softly, so that's another place to save some money. 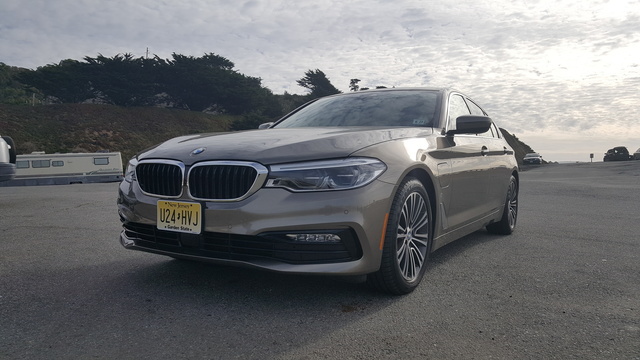 After its redesign, the new 5 Series was awarded a 5-star safety rating from the government’s National Highway Traffic Safety Administration (NHTSA) and got named a Top Safety Pick+ by the independent Insurance Institute for Highway Safety (IIHS). With the optional $650 M Sport Brakes, it manages a middle-of-the-pack 124-foot stopping distance as well, which is an important factor when you’re adding an extra quarter-ton to the weight of a vehicle. When it comes to cost-effectiveness, pretty much every other discussion on the table fades into the distance. 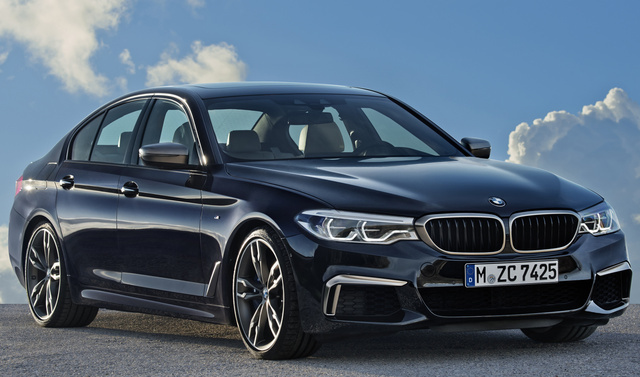 The bottom line here is that you can walk away with a new BMW 5 Series for less than 50 grand, and the lease options make things even more attractive. With nearly $7000 of potential difference between the 530e and the 530i, I predict most everyone with a 5 Series lease coming up in 2018 is going to drive away in a new 530e. This is enough of a price advantage that it might even mitigate the migration toward the new Genesis G80, a vehicle that’s surely making BMW nervous. Go check it out, treat yourself to some fancy options, and walk away with a 5 Series that will rarely need to stop at a gas station for substantially less than a 530i. What's your take on the 2018 BMW 5 Series? Silverjad Most mfg have a best stereo at this price point What is the standard BMW 530 i stereo found 205 watts and 12 speakers but not the breakdown any sub included in this line of 12 speakers? Users ranked 2018 BMW 5 Series against other cars which they drove/owned. Each ranking was based on 9 categories. Here is the summary of top rankings. Have you driven a 2018 BMW 5 Series? Enter your zip to see incentives for a new 5 Series in your area. Looking for a Used 5 Series in your area? CarGurus has 20,639 nationwide 5 Series listings starting at $1,500. 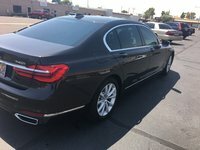 What series is a 2018 540i?? Hi , my name is linh . 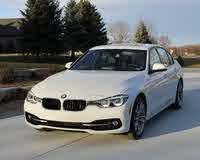 I just buy a new bmw 540i 2018 . First , I really like it . But i found something wrong with this car . Why the exhaust at right side alway close ? . Does dealer price on new car listings mean Dealers invoice price?